Dior VIII Grand Bal Plume 2017 Chinese New Year Limited Edition. 36mm automatic – Steel, yellow gold, diamonds and feathers. Limited edition of 88 pieces. 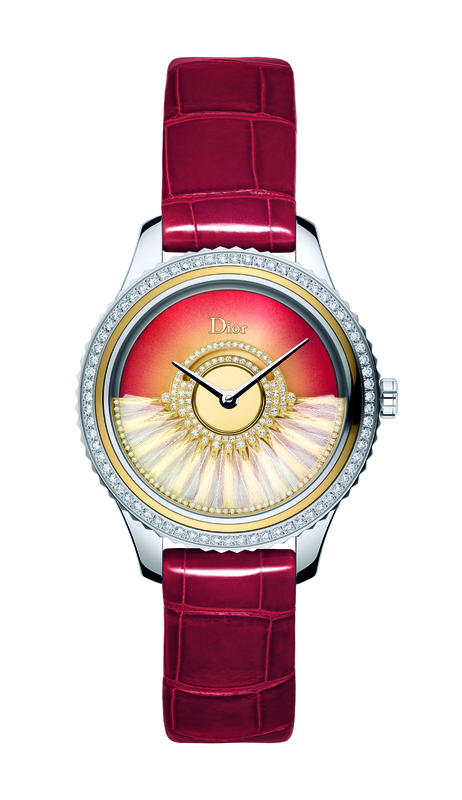 Sun-brushed yellow gold and red-coloured dial, shiny red alligator strap and oscillating weight decorated with rooster feathers. Automatic movement “Dior Inversé 11 1/2” calibre, featuring a patented and functional oscillating weight recreating the swirl of a ball gown.